It might sound a tad cynical, but the sentiment seems apt at present for travellers considering Nepal. We all saw the headlines of the devastating earthquakes of April, but in the months following, the fantastic story of recovery has gone virtually unnoticed. 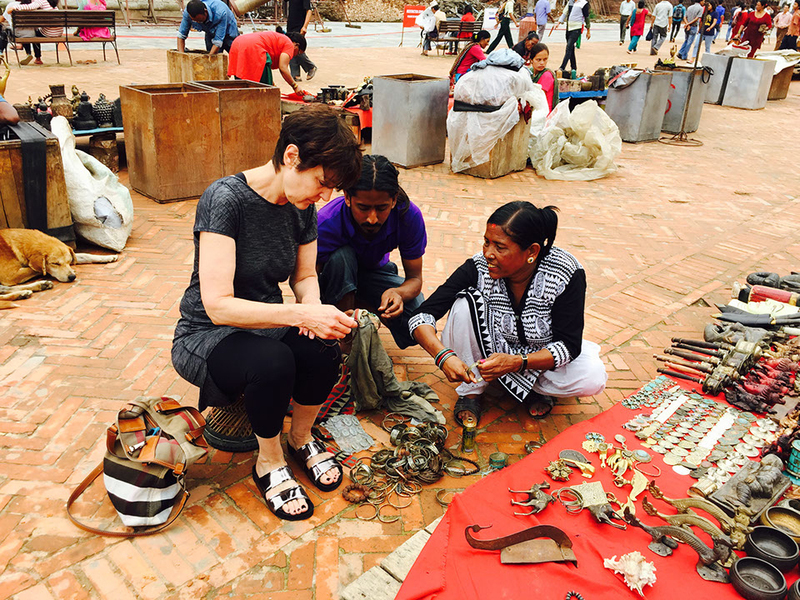 Gate 1 Travel has well-established ties and a deep connection with the region as part of our India-Nepal tours, so our company founder has been following the nation’s recovery efforts closely. In the end he decided the only way to fully understand the situation was to see for himself, and it was during that recent visit that he discovered the nation is faring much better than has been reported in the media. Those who live in Nepal have been disheartened that the same media which covered the quakes so vigorously has largely ignored the story of the rebirth, leaving many with the impression that they should scratch Nepal off their bucket list. But the opposite is true. By talking with locals and by following official dispatches from the field provided by a team of earthquake structural engineers that was deployed to the region – Dani and our travel planners in Nepal report that 90% of the nation is doing well. 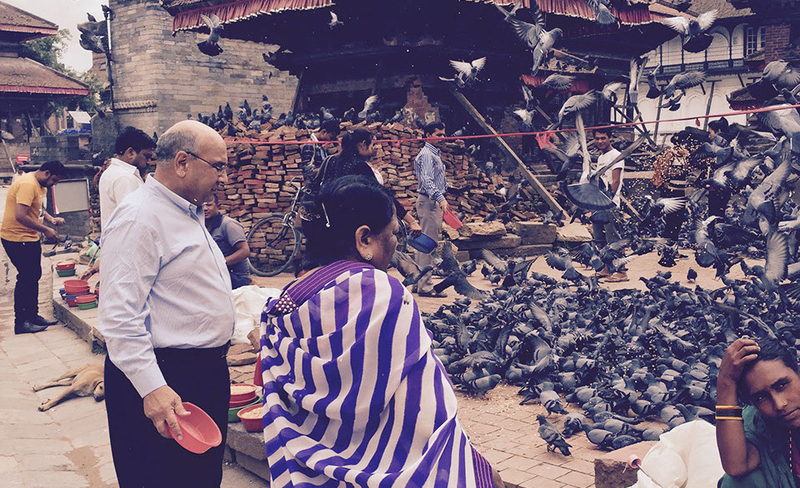 Nepal is not only willing and eager to welcome travellers again, it is depending on our return. Tourism is the country’s single largest industry, so when travellers stay home, everyone loses – especially those who are missing out on this magnificent and wondrous country. These friendly people live their lives against a backdrop of unparalleled natural beauty. Eight of the world’s ten highest peaks, all of them rising over 6,095 metres, are within Nepal. Being surrounded by the legendary snowcapped peaks of the Annapurna range of the Himalayas leaves you feeling a bit like you really are on the rooftop of the world. Their magnificence unchanged by the earthquake, the mountains continue their timeless watch over Nepal. The man-made wonders here are nearly as transporting, with centuries-old palaces, pagodas, and an array of Hindu and Buddhist temples reflecting the artistry that accompanies true devotion. 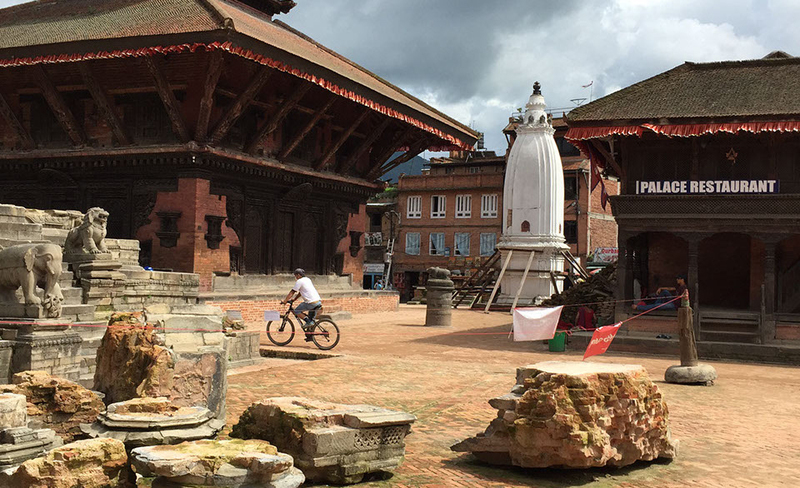 Three historic squares – Kathmandu, Patan and Bhaktapur – were closed for repairs and clean-up in the spring, but all were certified safe and re-opened this summer, with 51 intact temples greeting visitors once again. In fact, from lakeside Pokhara to the serene wildlife preserve at Chitwan, our favourite destinations within Nepal remain as inviting as ever, each boasting their own singular appeal. Nestled within the Kathmandu Valley at an elevation of 1,400 metres, Kathmandu may not be Nepal’s highest point geographically, but it is the pinnacle of the culture. It is the rich and enduring capital, that nation’s largest city and the epicentre of its temples and stupas. To stroll its streets is to navigate among rickshaws, walk among monks, and be caught up in a swirl of sound and colour, from the voices of tiger balm sellers to the vivid flowers carried by pilgrims. Archaeologists have found clues of cultures dating back at least 2,000 years here. The history of the kingdom is on display in the three re-opened palace squares, all UNESCO World Heritage Sites. 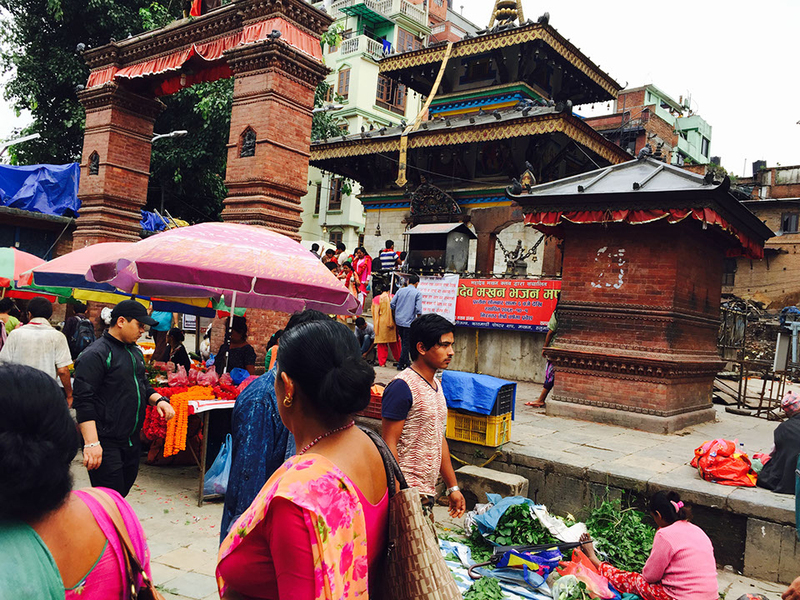 And you’ll find ample evidence of the religious diversity of Kathmandu in the temples throughout these squares and along the banks of the Bagmati River. At Hindu Pashupatinath, gold and copper rooftops gleam above a still-bustling plaza where women do their washing and sadhus with painted faces meditate. At Swayambhunath, the eyes of Buddha watch over pilgrims from all sides of the soaring stupa. While at the sprawling stupa of Boudhanath, hundreds of prayer wheels spin endlessly amid more than a hundred Buddhas. In Pokhara, the architecture plays second fiddle to the stunning setting. The array of natural gems includes three glimmering lakes reflecting lush green landscapes topped by the Annapurnas. The largest of the three, placid Phewa Lake, is fringed with trees and plied by rowboats. At nearby Devi Falls, a plunging cascade disappears underground into earth. And the Seti River plays peekaboo, hiding in plain sight deep within a gorge that cuts through the town. The effect of the overwhelming natural beauty on the city is serene: Pokhara is famously relaxed and has become a destination both for those in pursuit of outdoor leisure activities, and those seeking simple rest and relaxation. (As a key stopover on Indian trade routes across the centuries, it has plenty of practice in the latter!) This makes Pokhara an ideal setting for the Shanti Stupa (Peace Pagoda). Created by a Japanese monk in honour of Gandhi’s efforts to create change through nonviolence, the stunning white Buddhist stupa took 26 years to finish. A much faster process led to the creation of Nepal’s first national park. When the government became aware that the local rhinoceros population was plummeting toward extinction in 1970, it ordered the lands protected. By 1973, the park was formally established. The UNESCO World Heritage Site is now home to more than 40 species of mammals, 45 species of amphibians and reptiles, and ten times that many bird species. The park’s 930-square-kilometre ecosystems encompass river basins, forests and grasslands, with a diverse terrain that ranges some 610 metres from lowest to highest points. Mahout-guided elephants traverse the grasslands, while crocodiles glide noiselessly through the waters of the Narayani River and otters dart to and fro. Shy Asian rhinoceroses try to keep out of sight, while antelopes bound across the hills. And overhead, specks of colour catch the eye – here a kingfisher’s turquoise tail feathers, there a paradise flycatcher’s orange plume. When our Gate 1 Managers returned to Nepal last month, they were endlessly pleased and relieved for the quickly turning tides of the Nepalese people and the breathtaking cultural treasures they hold so dear. We invite you to join us and discover how quickly the nation has recovered – and how little of it was actually affected by the quakes. When you visit during our Gate 1 trips to India and Nepal, you’ll see more than any newspaper account could ever tell you about the extensive resurgence of Nepal and all the wonders that endure. All the wildlife of Chitwan is there for travellers who seek it. The beauty of Pokhara still beckons, undimmed. And Kathmandu is blossoming with renewed spirit, ready to greet all who know that this is the time to come. And when you explore during our small group adventure, Himalayan Kingdoms: Nepal & Bhutan, you can peer even more closely into the rich cultures of Nepal and its mountain neighbour to the south, Bhutan, the virtually unspoiled nation that measures its success by Gross National Happiness.